Tonight, U.S. President Barack Obama has an opportunity to be wise. 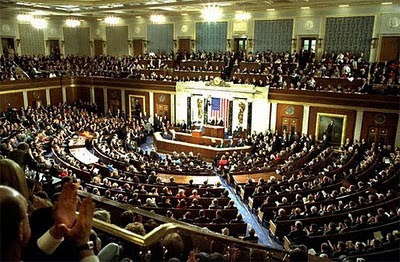 As he makes his first State of the Union address before a Congress that is controlled by his fellow Democrats, Obama can decide whether to learn the lesson of the last president from his party, or doom himself to defeat. In the 1994 mid-term elections, President Bill Clinton saw his Democrats lose both houses of Congress in what became known as the “Republican Revolution.” Clinton had been elected two years earlier as a centrist, tax-cutting “New Democrat.” Once in office, however, Clinton announced the largest middle-class tax hike in history and embarked on a national health care plan that was expected to cost one trillion dollars (of course, this was back when a trillion dollars was considered a lot of money). The parallels are potent. In 2008, Obama was elected to quell an economic crisis, including a record budget deficit, while ushering in an era of bipartisan comity. Since then, he has quadrupled the deficit, adding trillions to the national debt, and tried to enact purely partisan, widely unpopular health care reform. The voters have rendered their opinion on these policies, first by electing Republican governors in Virginia and New Jersey – states Obama carried in 2008 – and last week, the Democratic stronghold of Massachusetts elected Republican Scott Brown to the United States Senate. Massachusetts was the canary in the coal mine, and Obama should be grateful for it. Bill Clinton got no such warning. If Obama does not shift his agenda, he can expect a 1994-style shellacking in November, en route to a single-term presidency that makes Jimmy Carter’s tenure seem like the Golden Age. Obama has stated he would rather be a spectacular one-term president than a mediocre one for eight years. One has to go back to James Polk to find a one-termer who is generally considered to have been successful, and the most common scenario is that presidents get retired after a single term when voters do not care for their work. Warming to his “angry” theme, we can expect that tonight, Obama will promise to “fight.” He’s fighting for Americans, against bankers, insurance companies, special interests and corporations. Unfortunately, if those Americans pay bank fees, require credit, purchase health insurance, or work for a company, they will be caught in the crossfire. A better choice for Obama would be to rediscover that compromising coolness that helped get him elected, while adding a dash of regret – not heated, but hopeful; not combative but contrite. This is a lot to expect from a man who has a harder time than The Fonz saying he was “wrong,” but it is still the president’s strongest option. If Obama were to say to Americans tonight, “I have heard you, and we will change course,” the nation, and his presidency, would benefit. One hopes he has that wisdom.